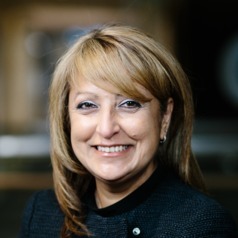 Dr. Rumina Dhalla, MBA, PhD is an Associate Professor in the Department of Management in the College of Business and Economics (CBE) at the University of Guelph. She is also CBE’s Corporate Social Responsibility (CSR) Coordinator and the MBA Graduate Coordinator. She was also the Project Lead for Guelph East Africa initiative, a multi national cross-disciplinary initiative led by the University of Guelph. Prior to embarking on her academic career, she accumulated over 20 years of industry experience, much of it in the Canadian banking industry. Her current research explores sustainability and sustainability certifications, emerging models of multi-stakeholder collaborations for sustainability, and the implications of social enterprise for food insecurity. She is an accomplished teacher in both the undergraduate and graduate programs, and was recently awarded the MBA Distinguished Professor Award.